Los Angeles, CA. (September 19, 2017) — SHIELDS for Families, a non-profit in South Central Los Angeles, is featured in a newly released national documentary “Bring Them All” to promote their family-centered approach to addiction treatment and recovery….a model that has success rates over 3 times the national average for substance use disorder treatment. 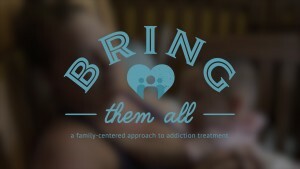 The documentary “Bring Them All”, funded by the federal Department of Health and Human Services, Substance Abuse and Mental Health Services Administration (SAMSHA) and produced by the ATTC Center of Excellence on Behavioral Health for Pregnant and Postpartum Women and Their Families located at the University of Missouri-Kansas City School of Nursing and Health Studies, tells the story of family-centered care through the perspectives of clients and staff at SHIELDS for Families, a treatment program in Compton, CA, which proves that the seemingly impossible can be done: to move forward a generation of children who never experience—or even remember—the challenges of growing up with family addiction. SHIELDS for Families is a community-based private non-profit organization serving over 10,000 individuals, children, and families annually across South Los Angeles, with a specific focus on the Compton and Watts communities. As the largest and one of the only family-centered service providers in the area, SHIELDS develops, delivers, and evaluates culturally sensitive, comprehensive service models that empower and advocate for high-risk families through 38 interlocking programs that provide substance use disorder treatment, mental health services, home visitation, housing, children and youth services, charter high schools, vocational services, and family support services. To find out more about SHIELDS for Families and contribute to their work, please visit www.shieldsforfamilies.org/donations/. To learn more about the documentary, please visit www.BringThemAll.org.